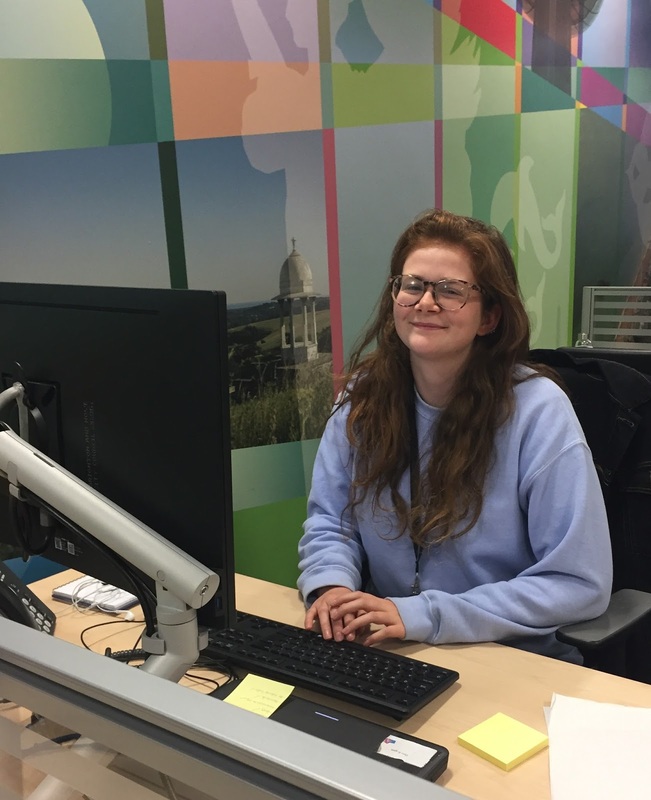 Communications Apprentice, Theo Duncumb Rogers, has recently graduated from her apprenticeship at Brighton & Hove City Council. I have been working in the council's Communications Team for two years whilst working towards my Level 3 NCTJ Junior Journalist diploma. My everyday job involves writing press releases, covering newsdesk where I answer journalist enquiries, working on the website, producing videos and helping to monitor social media pages. Working in the council's Communications Team means I get to know all about what is happening across the city and in a place like Brighton & Hove that involves a lot of really interesting things. I completed my journalism qualification at Lambeth College in London. Once a week I would go up to college where I learnt about media law, public affairs, court reporting, shorthand, video production and much more. I am also an Apprentice Ambassador at the council. We visit schools and events to talk to students, parents, teachers and employers to promote apprenticeships. This has helped me to improve my public speaking as I had never given a presentation on my own to such large audiences. I also help to run the ambassadors blog, Twitter page and Facebook page. This involves finding and creating content to post and being able to answer any questions we get from the public about apprenticeships. A few of the highlights of my time at the council have been shadowing the council Chief Executive, helping with the I Am Whole mental health campaign and getting the chance to visit the House of Commons as part of the Brathay Apprentice Challenge. This apprenticeship has been an amazing opportunity for me. I’ve learnt loads of new skills and met some great people. Not only this, but I also have a recognised qualification and two years’ work experience. I’m excited to be able to put everything I’ve gained from my apprenticeship to good use in the future. There is currently a vacancy in the Communications Team for a Digital Marketer Apprentice. Find more info on the council website.